Thinking of selling this and getting another petrol 4by. Have had it since just before Xmas and has been great. I just dont like the way the diesel drive's, nothing against it, just doesnt suit my driving style. Yes i know i just got it. Maybe some more ive forgotten. 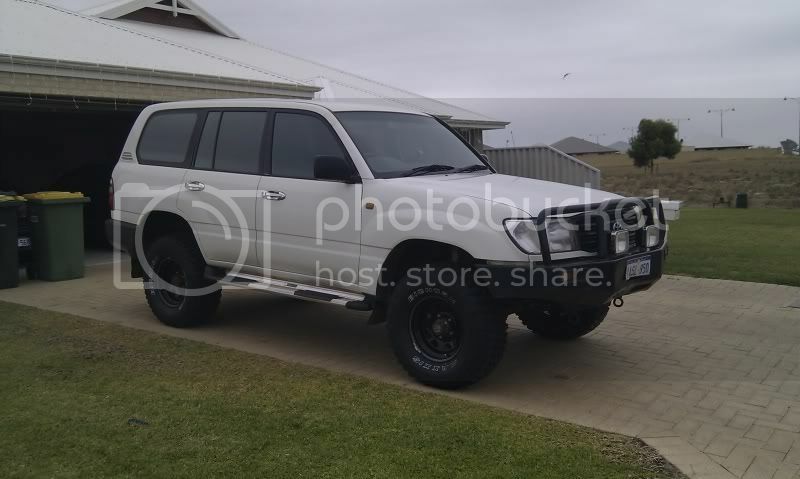 Sits on 110km/h no probs with the big tyres and gets around 14.5ltr's per 100k's. Bad points: Has a PWR steer pump leak (is this factory fitted? ), front bar has a dent, few small dents and scratches.